SCOTTSDALE, ARIZONA – February 15, 2018 – Reinvent Telecom is pleased to announce that it has achieved full compliance with the federally regulated standards of the Health Insurance Portability and Accountability Act (HIPAA). The HIPAA Seal of Compliance® is a third-party verification that Reinvent is able to deliver services to health care organization in accordance with the regulation’s requirements governing the security, privacy and integrity of sensitive patient health care data. Reinvent has implemented a full compliance program, adhering to the necessary regulatory standards outlined in the HIPAA Privacy Rule, HIPAA Security Rule, HIPAA Breach Notification Rule, HIPAA Omnibus Rule, PCI and HITECH. These standards have been heavily vetted against the letter of the law and meet federal NIST requirements. 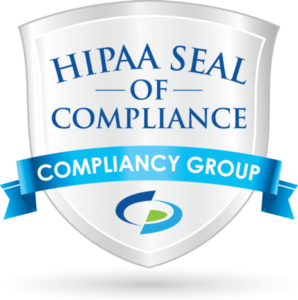 Reinvent’s compliance has been verified by the HIPAA subject matter experts and Compliance Coaches at Compliancy Group, the industry-recognized leader in HIPAA compliance.